Hedge Woundwort is a member of the mint family, a perennial herb whose BURGUNDY & WHITE blooms perch like small orchids on long square stems. 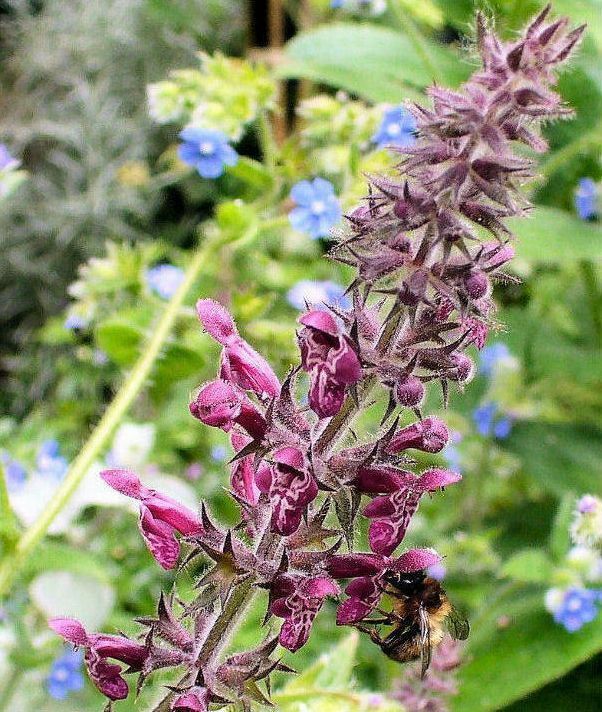 Underground rhizomes of Stachys sylvatica work to spread the plant through shady woodlands, hedges & waste ground, where it can grow to a height of 12 to 40 inches. 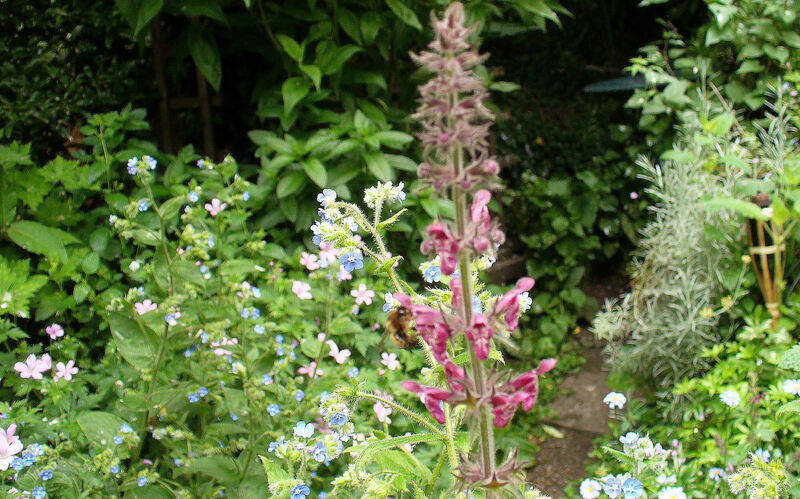 In gardens it mixes well with other shade-loving wildflowers, & its plantlets when small can be easily pulled up & replanted elsewhere. 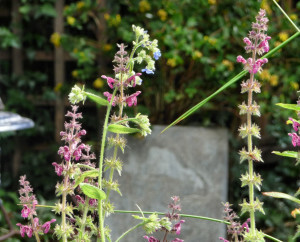 Cutting some stems back by half may prolong the plant’s season. 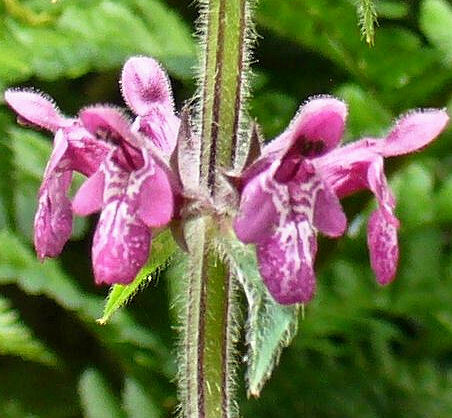 Hedge Woundwort is irresistable to small bees and other insects, who visit it steadily throughout its long flowering season. 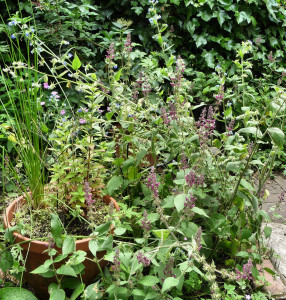 Caterpillars of two moths, the Emperor Hawkmoth & the Small Elephant Hawkmoth, feed on its leaves; slugs & snails leave it alone. 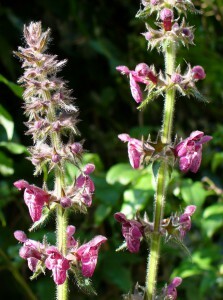 Hedge Woundwort is a prolific maker of seeds. 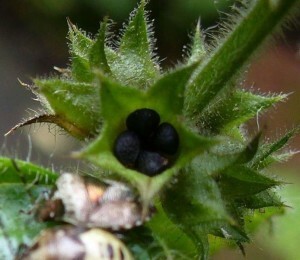 Green tufts are left all along its stems once its flowers are done, with shiny black seeds nestling in each tuft. We leave some of these decorative stems standing so birds can have the seeds. The many offspring of our first Stachys sylvatica, which came from an Ecology Centre wildflower sale, reappear each spring. They give the garden the feeling of a woodland glade. 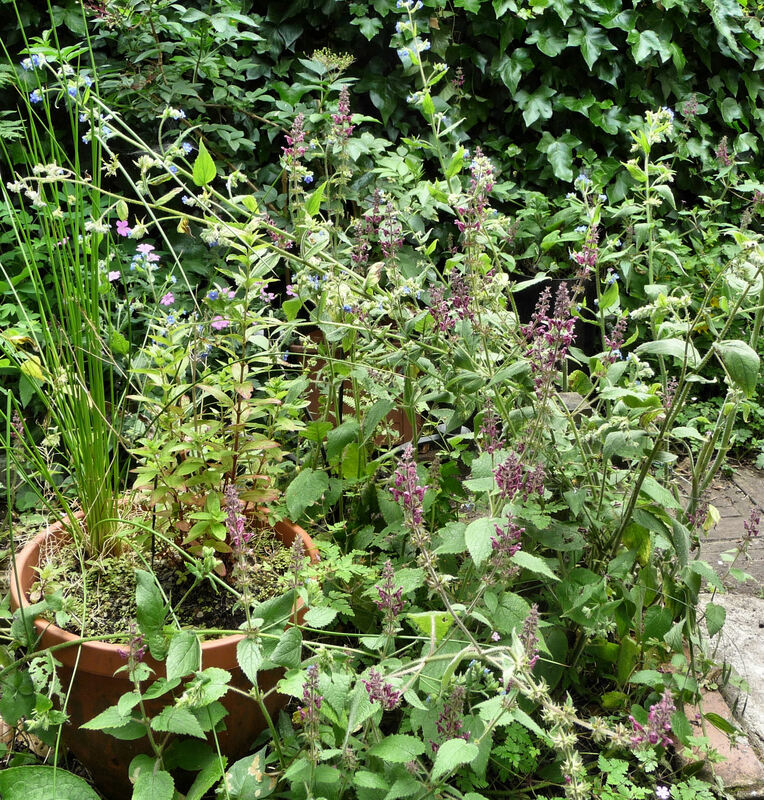 Other names: Betony, Common Hedge Nettle, Dead Nettle, Grass Nettle, Heal-all, Lamb’s ears, Red Archangel, Self-heal, Whitespot, Wood betony, Woundwort. 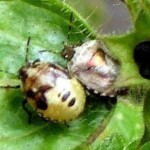 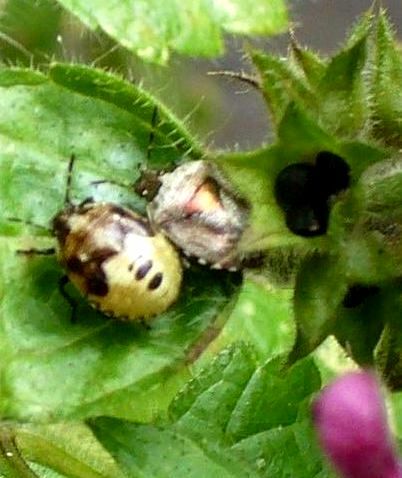 Hedge Woundwort has its own Shieldbug, the Woundwort Shieldbug. 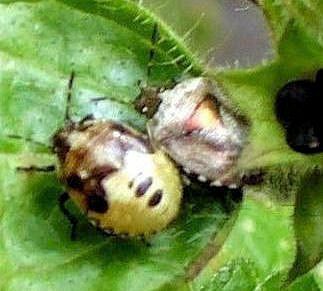 The little instars go through four stages before becoming adults.